2. 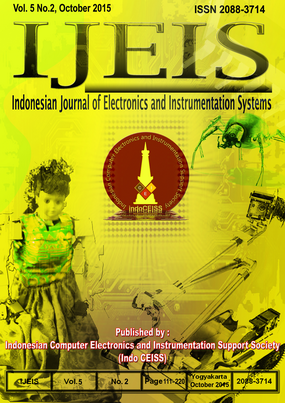 IJEIS (Indonesian Journal of Electronics and Instrumentations Systems) is indexed in ASEAN Citation Index (ACI). Published by the Indonesian Computer, Electronics and Instrumentation Support Society (IndoCEISS) in colaboration with Department Computer Science and Electronics, Faculty of Mathematics and Natural Sciences, Gadjah Mada University, Yogyakarta on April and October.